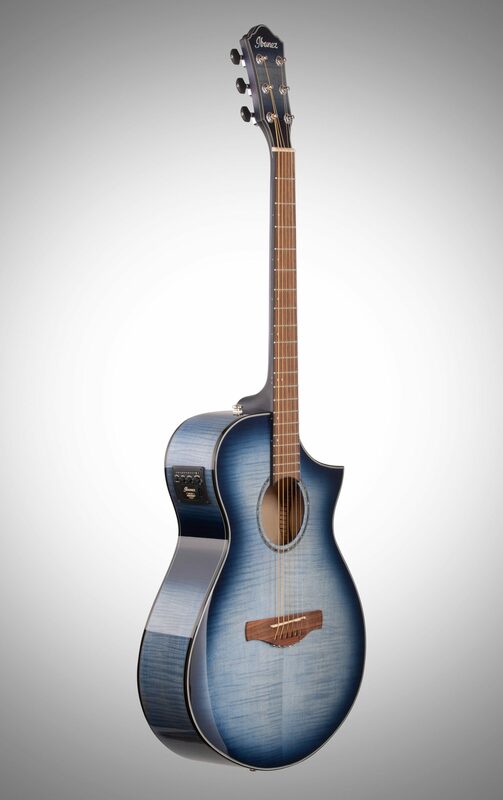 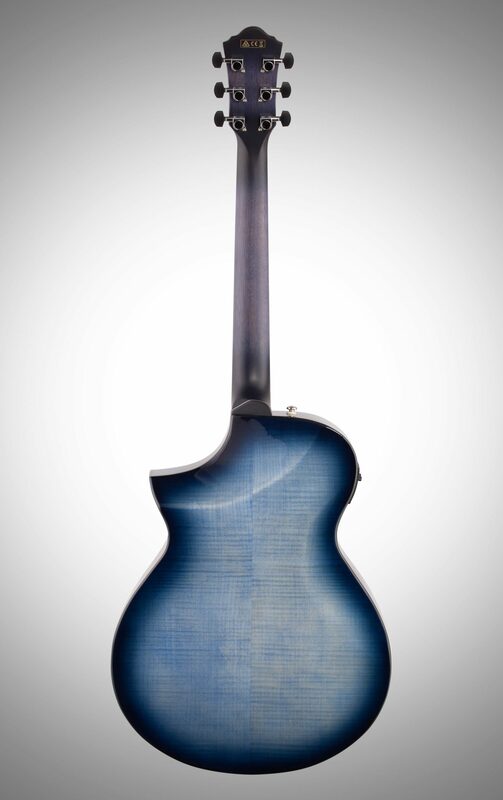 The Ibanez AEWC400 Acoustic-Electric Guitar is the next step forward in that process with the new AEWC acoustic guitar. 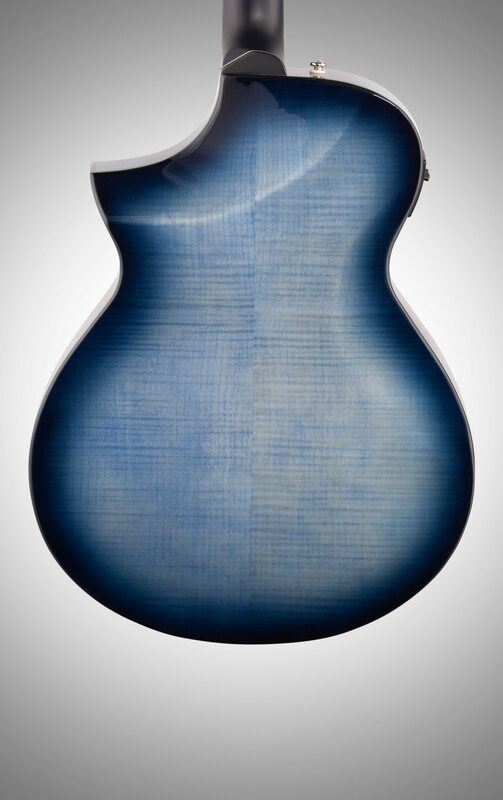 Employing some very unique design features, the AEWC body utilizes next-level contouring in the front and back of the body to maximize ergonomics and comfort. 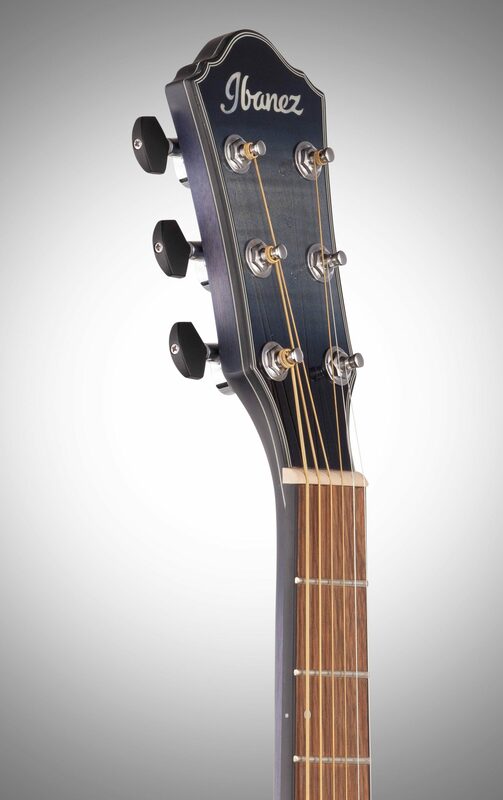 Engineered by Ibanez, the AEWC's "Special Cutaway" is designed to offer extreme and unfettered access to higher fret positions. 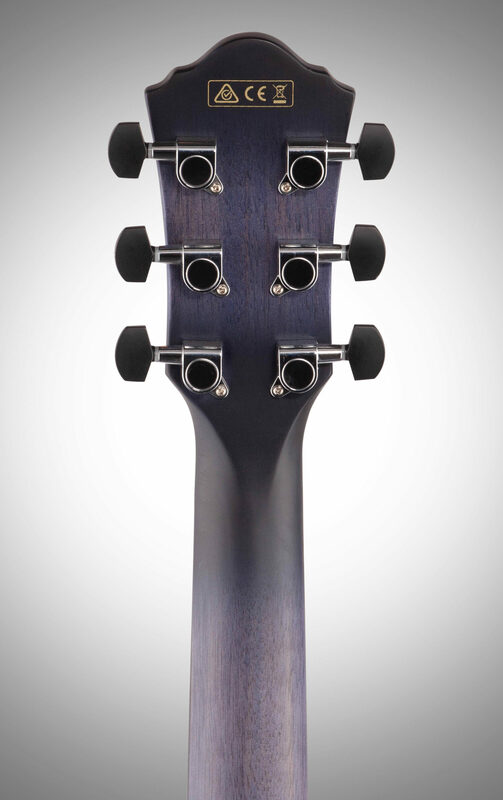 The asymmetric neck delivers enhanced comfort and playability while maximizing access to the bass side of the fingerboard allowing for comfortable fretting. 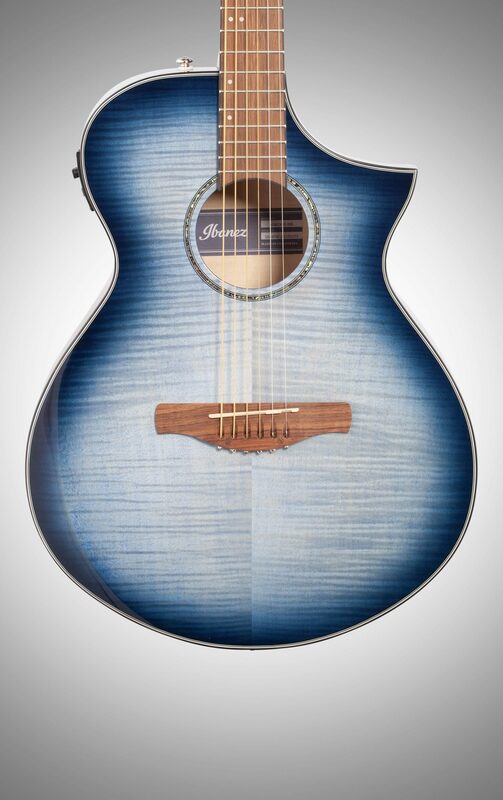 The Fishman Pickup and Ibanez AEQ-SP2 Preamp deliver excellent reproduction and control of tonal characteristics and easy operation, while 1/4" and XLR outputs give you options for a variety of direct plug-in applications. 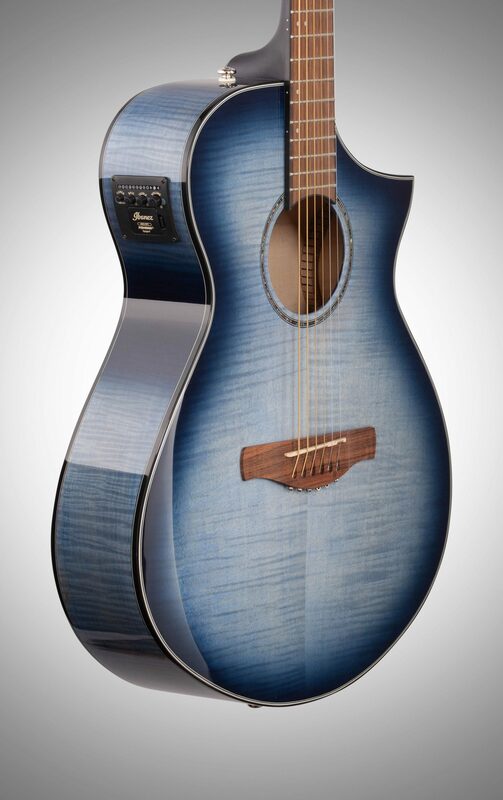 The combination of a Solid Spruce top and flamed maple back-and-sides on the AEWC300 create a rich acoustic sound and offer attractive aesthetics. 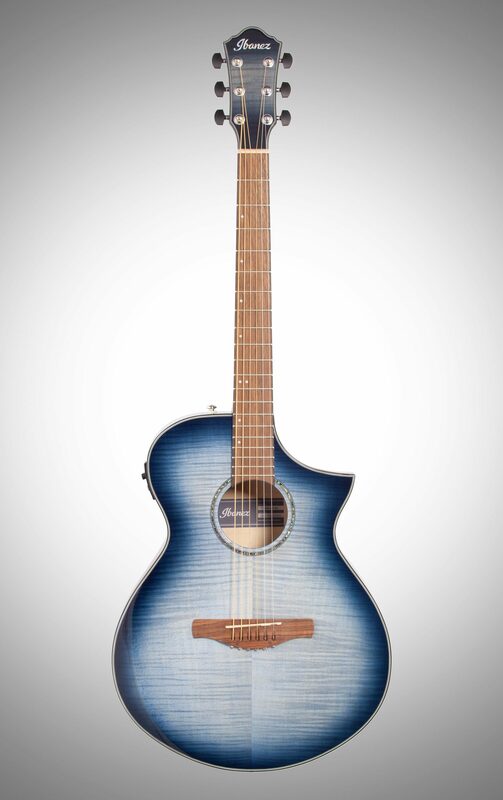 The AEWC series was created with the electric guitarist in mind, and the special contouring and design elements make this guitar perfectly suited for the electric guitarist looking to feel right at home on an acoustic.